The favorite season for a lot of the weddings is springtime, because of the new flower season and good weather. In summer it might be too hot and in winter it might be to cold. Most of the couples decide spring as the best wedding time. In any case you can not rely on good weather in springtime. The reason for choosing spring for a wedding it might be that this season is full of spirits and energy. The nature is awake and most of the flowers are starting to bloom. This gives the wedding a natural charm. 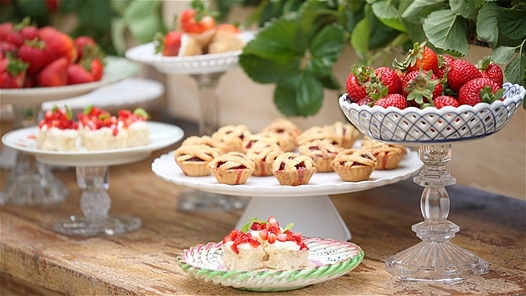 If you are planning your wedding outdoor, spring will be the ideal time, when the weather is good. However, you can not trust the weather or weather forecast. Of course, springtime is the best time of the year for having an outdoor wedding, because of the fresh growing green and flowering plants. The wonderful flora will give you the nature decoration for an outstanding romantic outdoor wedding. The location for your wedging can be in your parent's garden, a public park or any beach. The best planned outdoor wedding is, when you have an indoor alternative on hand. The color is an essential part of spring. 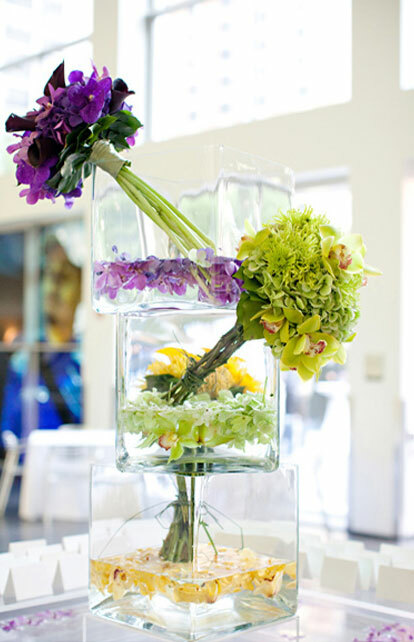 You can make spring part of your wedding theme. Use spring flowers for your table decoration; send invitation cards with spring design to your guests. You can use bright colors. Also the combination of yellow and green is getting more popular. 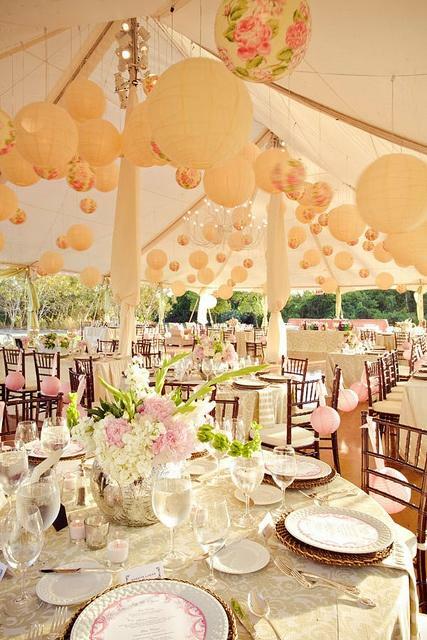 The choice of the right color will make a spring wedding memorable. Today's some brides are not aware to have a hint of color in their wedding dress - be it a light green sash or an allover hint of yellow. Colorful dresses look great on a spring day. What to wear? 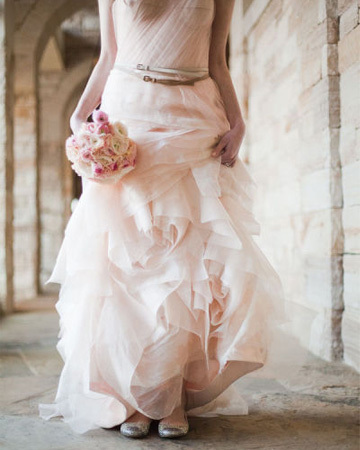 For springtime you will find a lot of classic pastel bridesmaid dresses. Choose spring flowers for your bouquets, which are matching the spring theme. Men are looking smarter in tan suits, a colored shirts and well styled ties. The bride should choose a wedding dress with long sleeves, because it can be colder on the day, then expected. When dressing for a spring wedding, keep in mind that the weather can be tricky. You may have the plan for temperature extremes. Your menu can be also stay on the spring theme. A light spring soup with rice and seasonal vegetables will be a fantastic starter. Fish or chicken breast with young vegetables such as baby carrots, asparagus and new potatoes, are the best for a light wedding meal. End your Menu with fresh seasonal fruits, such as strawberries, rhubarb and apricots are delicious at this time of year. What favors are the best? If you consider giving favors on your wedding day, look to buy seasonal spring gifts. For example give favors of seed packets, with words on: "Thanks for supporting the growth of our love." If you want to get some cheap wedding favors, shop at the $1 stores. 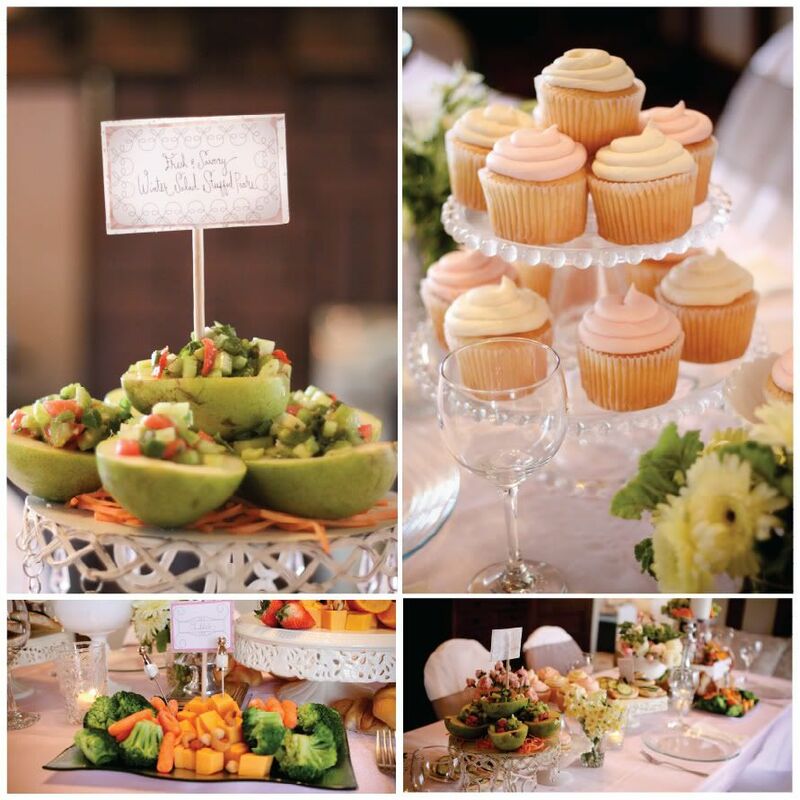 There you will find seasonal items, useful for your guests favors. Spring is a wonderful time for the new adventure that a wedding brings. Spring is the time of rebirth and renewal.